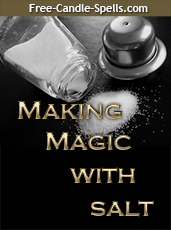 The first of two part of an article about collecting personal items or concerns to use in love magick spells – J. 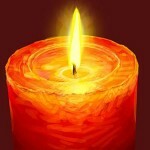 While the upcoming Valentine’s Day reminds us of all things about love, it is the day-to-day world in which we live in that gives us a lot of opportune times to gather items from our intended lover to place in a love candle spell. When used in a magickal spell, person objects or concerns are like a GPS system is for a drone rocket. Instead of burning candles without the aid and assistance of a personal item or concern, try using one to “zero in” on your target. Some say only Personal Concerns can be used, but I have been very successful with using something as innocent as a key chain given to me by someone to keep me in their good graces many years ago. It is an item that they purchased/previously owed/touched and then given to you, that makes the item “charged” with their energy. The “Golden Rule” is that the closer the object is to the person, the more effectively the magick will affect them. In the case of the key chain, it was a corporate gift from the person that he had created for his team – and the company’s name was the same as the owner! So, if you ‘read between the lines’, my “target” was the owner of the company, the company was the owner’s name and the key chain was kept in a honey jar so they would be “sweet” to all my requests. These items can be tucked into a red flannel mojo bag and placed next to a candle to burn to bring them closer or can be placed under the candles, such as a signature or photograph, so that they will ‘feel the heat’ from your love candle flame.